Just wanted to start off this post with a huge thanks to our entire community of fans, players, and supporters! We wouldn’t have made it this far without you guys. It’s been a minute since our last update, and I wish this was more of an uplifting “bringing in the new year” post. Unfortunately, the last few years haven’t been the kindest to our studio, and to the indie game development scene at large. The combination of difficult market realities, and having burned the midnight oil for years on end is finally catching up with me (oh, to be young). Going forward, OML is no longer a full-time endeavor for me. I’m currently happily in a new full-time position at another company. When I think back on the years of development, the thing that sticks with me is the encouragement and excitement from our fans on what we were working on. You guys made it worth all the effort. I’m still in awe at the fan art, tools, community led tournaments, and support our fan base had shown over the years. So what does this mean for our online games? Our current game servers will continue to operate. If the situation changes with any of them, we’ll notify players on appropriate channels (this blog included). What does this mean for the Hex Gambit Switch port? It’s still in development, but at a much slower pace after hours. As such, I can’t really give an estimate on when it’ll be ready. Again, I can’t emphasize enough how great these last 9+ years have been, and can’t thank you all you enough for that awesome opportunity. First of all, I’m grateful to Alex for taking me on this adventure in the first place, and I wish him the best. We’d both like to offer a sincere apology to our Switch backers for all of the delays you guys have endured. After a rougher-than-expected Steam launch, we just found ourselves without any options to continue HG development full time. We over-promised, and we’re doing everything we can to make it right. Thank you all for your support and your patience. While (as an artist) I can’t help Alex finish Hex Gambit any faster, I’m exploring my options for working on another game (don’t worry, there won’t be another Kickstarter) while taking on some contract work. If you’d like to see whatever might come next from me, make sure you subscribe to our mailing list and follow me on Twitter @oneadamleft. I have literally no idea what will happen! If you’d like to contract me to help out with your project, I do all kinds of art with a specialty in UE4, and you can check out my portfolio right here. So our goal of delivering a complete Hex Gambit on Steam by the end of 2017 didn’t quite pan out, but a lot changed over the course of the year! A version for the Nintendo Switch™ was added to the docket, along with a single player mode and a pretty meaty league metagame. None of that stuff was even conceived of this time last year. We are proud to look back on a successful Kickstarter campaign (no small feat) with all our rewards dished out on time so far. Our backers-only alpha feedback has been super helpful for cataloging bugs and adjusting the game balance. We’re spinning a lot of plates over here, fixing old stuff while implementing new stuff, but keep that feedback coming, playtesters! We’re listening, and it’s all being prioritized in our task list. So what’s ahead for 2018? Hex Gambit: Early Access! It’s the moment we’ve all been waiting for. 2v2 play, an influx of fresh meat, and the heart of our multiplayer experience: the Apex Cup league comes online. Should be ready to go in Q1 of next year. As for the final launch, our Kickstarter estimate was April 2018. It’s looking to me like sometime in the summer is more likely, but that’s really up to our Early Access performance. If the game finds an audience and we can fund a few more months of improvements, we’ll definitely take that opportunity. It’s our first console release, after all, so we want to bring our A-game. For next year’s New Years post, I hope to be writing about the awesome Hex Gambit DLC we have in the works! Best of luck with all your projects, plans, and aspirations this year. Thanks for keeping up with us! The consensus around the internet seems to be that 2016 was bit of a turd. But every turd has a silver lining, depending on your diet. We were extremely nervous about the launch of our first PC game, but the results we’ve seen from Space Food Truck have been super encouraging. We owe a huge thank you to everyone who supported us this year by picking up a copy. You’re the reason that our sixth game is coming in 2017! It took a bit longer than we wanted to get SFT’s tablet port out the door, but we made good use of that down time learning Unreal Engine and Blender to make our next game in 3d. If all goes according to plan, you’ll be playing Hex Gambit, the spiritual successor to Outwitters, by the end of 2017! This new turn-based strategy game takes everything we learned making Outwitters and improves on it. It’s fast-paced and easy to learn, with loads of depth and tons of tactics to try out. Also, it’s really pretty. A Kickstarter is coming around the middle of the year with some cool pre-order-style goodies, and you can keep appraised of that situation by joining our mailing list. If you want to support the development of Hex Gambit right now, you can do that by buying any game or soundtrack we sell! All the money coming in from our other games goes straight into music, sound effects, and mortgage payments for the next one. We wish you all the best of luck with your own hopes and dreams for 2017, and thanks for sticking with us for our SIXTH year as full-time game designers. We wouldn’t still be here making new games without your continued support. Happy New Year from One Man Left! It’s just about time to start writing the wrong year on everything again. 2015 was definitely a busy year (I don’t think we know any other kind): We made an abundance of working game prototypes. Outwitters came to Android. We were included in our first Humble Bundle, we created our first Kickstarter campaign, and we’ve got our first Early Access PC release. That’s a lot of firsts! PC development and Early Access have been particularly exciting. On PC we’re worrying less about short user sessions and our moms being able to figure the game out, which is liberating. We’re also getting great feedback for Space Food Truck from our EA users (keep it coming) that’s already helped us identify some changes we’d have overlooked. Speaking of Space Food Truck, it’s still 10% off a while longer and we’ve just pushed a quick fix to help with the difficulty. The door repair cost has been reduced back to 1, which sounds like a small change but it has ripple effects all over the place. Keeping the doors operational helps resolve damaging crises and keeps people from being locked out of their rooms, pretty painful stuff if it gets out of hand. Alex and I will be discussing difficulty more in-depth first thing in the new year. Space Food Truck’s official big boy PC release is first on our docket. Then we have an idea for an additional gametype we might explore, or we may go right for a tablet port. Or maybe we’ll jump straight into Game 6. We have a few turn-based, Outwitters-esque prototypes that are showing a lot of promise. Nothing is decided until it’s decided! Thanks for keeping up with us on the blog, we’re nothing without support from fans like you! We wish you all the best in 2016. May your dreams come true and your resolutions be unbroken. Unless you made an unrealistic resolution, in which case we support your decision to give up. We’re not here to judge. It’s been a pretty productive year for One Man Left. The early months saw the Brimstone Pinball DLC come together for Tilt to Live 2, followed shortly by the evolution of Gauntlet’s Revenge from DLC to full game. We almost even squeezed in an Android port of Outwitters before New Years caught up with us. We’ve typically only managed about one game a year, so that’s not a bad collection of completed projects. We really cannot thank you guys enough for supporting us year to year, if you managed a purchase. We’ve been chugging along full time at this for almost 5 years now, and that is 100% thanks to you. Looking forward to 2015, I’m really itching to dive into some fresh material. While Alex has been putting together our Android ports, I’ve been brainstorming and sketching game ideas for about 2 months now. Alex will join me in January for what we have dubbed “prototype month”. I don’t think we’ve ever had this many different game ideas to choose from. Come February 1st, we will be ready to make the living crap out of something. So what can you expect out of One Man Left next year? We’re leaning toward smaller projects, which means a faster turn-around for you guys. With any luck, we’ll have Game 5 ready around summer time. 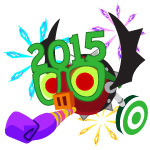 It’d be great to have two games done in 2015, but that’s just a flimsy New Year’s resolution at this point. A lot can happen between now and next December 31st. Naturally, we’ll be blogging it all right here as it develops. And holy crap I’m getting married next year. 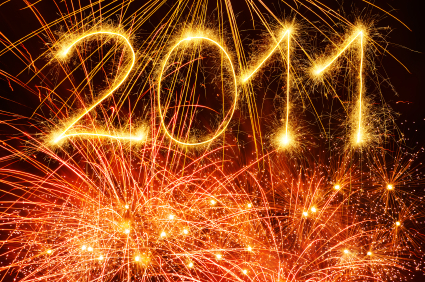 Our New Year’s resolution is to stop 2012’ing. From now on, we’re only 2013’ing, or higher. Our first order of business was to take a look at our analytics and see how the last gameplay changes have settled out. Surprisingly, the balance seems to have improved across the board. Where once there was a heavy first-turn advantage, it’s much closer to 50/50. The special units are even looking more evenly matched. There is one exception, and we’ll be sending a buff their way in the next update. As a side note, if you haven’t checked out the fan-made Outwitters Sports Network recently, you might want to give it a fresh look. David Lambert the Code Penguin has been busy. You can now watch popular replays from high-level players, or break down replays of your own move by move. It’s honestly better than our in-game replay for people wanting a closer look at their matches. And while we’re dropping fan links, there’s also the super-cool Map Creator Tool developed by forum vet Harti. You can’t use your maps in-game, but there’s nothing stopping you from printing that bad boy out and playing on a tabletop with pen and paper, like pappy used to do. Fair warning: it’s a beta, so it’s only been tested in Chrome 23, IE9, Chrome on iPad 3, and Safari on iPad 3 (sometimes laggy, cannot load maps). 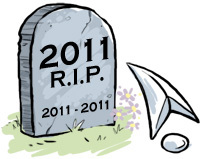 The doctors say 2011 likely won’t make it past the new year, so with a heavy heart we bid it farewell. We may not have anything to show for it yet, but 2011 was hard work. Outwitters has required a lot of learning. New tech, new work flow, new genre, universal device support… It’s no wonder our release estimate was so far off. But we’re both really proud of the work in progress, and we can’t wait to see the rest of the bells and whistles fall into place. The App Store hasn’t heard from us in a while, and we aim to change that in 2012. Outwitters should hit the store sometime before the end of March, after which we have a few content updates planned. Hopefully by year’s end we’ll be neck-deep in some kind of Game III, maybe even releasing it. Thanks for keeping tabs on us this year. Don’t drink and drive, and we’ll see you guys in 2012 WITH ACTUAL GAME CONTENT FOR YOU TO PLAY. Off to the New Year! 2010 was an amazing year and a great start for us! Tilt to Live being our debut game on the app store took us further than we would have imagined. Going from a part-time hobby to a full time career has been nothing short of amazing over this past year. We released Tilt to Live back in late February and the support has been phenomenal! We’d like to thank our fans for their support and just being awesome! Below I wanted to share with you some of the places Tilt to Live came up in conversation during all the ‘end of the year/best games of 2010’ ruckus. We were selected as the iPhone Game of The Year for 2010 by AppAdvice. We’re flattered! Thanks again so much to the guys and gals over at AppAdvice! Being selected as one of the top 5 best casual iphone games of the year on Touch Arcade was a great achievement! We got an honorable mention over at midlife gamer for Game of the Year. Heavy Rain beating us out…hah. Having screenshots of the two games side-by-side is rather mind blowing. OUR ARROW IS THE MOST REALISTIC ARROW EVER RENDERED ON A TWO DIMENSIONAL SCREEN. We got runner-up in the ‘Biggest Surprise’ category over at touchgen.net. Back in November we were inducted into the App Hall of Fame. That was one helluva year :). Here’s to keeping it up for 2011!